The Texas Longhorns just put on a show and a half against USC. No one in the nation outside of the most brutal homers thought the ‘Horns could pull off the victory, and they took the Trojans, who are still ranked in the top 5. So, the Longhorns had an embarrassing opening loss, a solid blowout win, and looked much improved in another loss. The question remains — what should the Big 12 at large make of this resurgent Longhorn team? The answer isn’t easy, and it’s multifaceted. 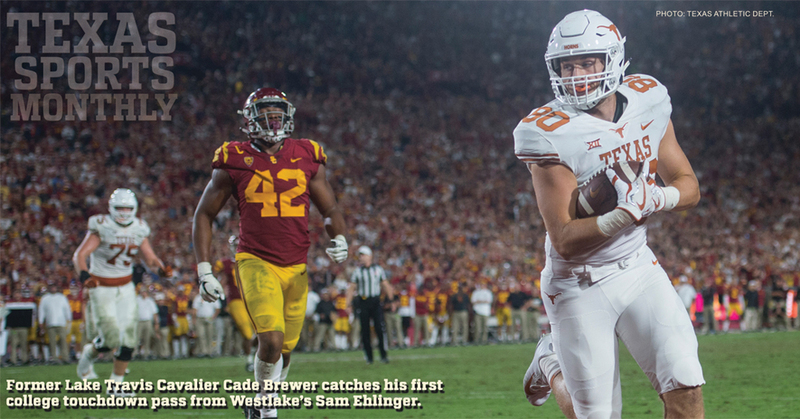 Yes, the Longhorns looked improved, but they’re not back on top yet, not by a longshot. However, the rest of the Big 12 isn’t exactly dominant, in fact, most of them look extremely vulnerable. Baylor still hasn’t won a game yet, and will probably lose to Oklahoma. Kansas is doing normal Kansas things. Iowa State looks improved, but is still at the bottom. Texas Tech has found a defense somehow, but it’s still not a great one, and might not even be a good one. Kansas State is looking vulnerable after a loss to Vanderbilt. Oklahoma State still has yet to play anyone, TCU struggled a tad against SMU, only Oklahoma has proven themselves as dominant in this conference so far. Texas will have their shot to beat all of those teams and more. It’s all about how many of these shots they can pull off. If their defense plays like it did against the Trojans, this is easily a team that can win a bowl game, if not make some serious waves in the Big 12. Texas isn’t completely and totally back, and it might not ever be back to the level it was from 2005-2010. They’ll still win some games, though. Should the Big 12 be worried? Some teams should. 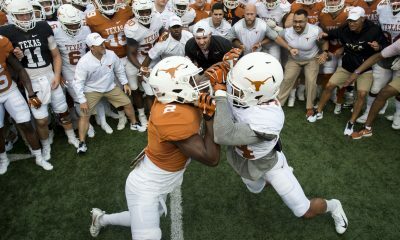 Should Texas celebrate finally having a team that can compete with anyone? Yes, absolutely.